Since I live in New York City, I often get questions from visiting friends and family members who are in the planning stages of their trips. A big part of trip planning for a lot of people concerns accommodations, and who better to ask than those who already live where you’re going! When it comes to New York, people often think of Midtown, Manhattan, but in all honesty, most New Yorkers heavily avoid this area. It’s loud, noisy and paints a picture of a very hectic city. Sure, Midtown has its pluses and must-sees, but I usually advise that people head uptown or downtown for their stay. While Manhattan has fun sites, it’s uptown/downtown and the surrounding boroughs, where you should consider staying (especially if you want some peace and quiet). 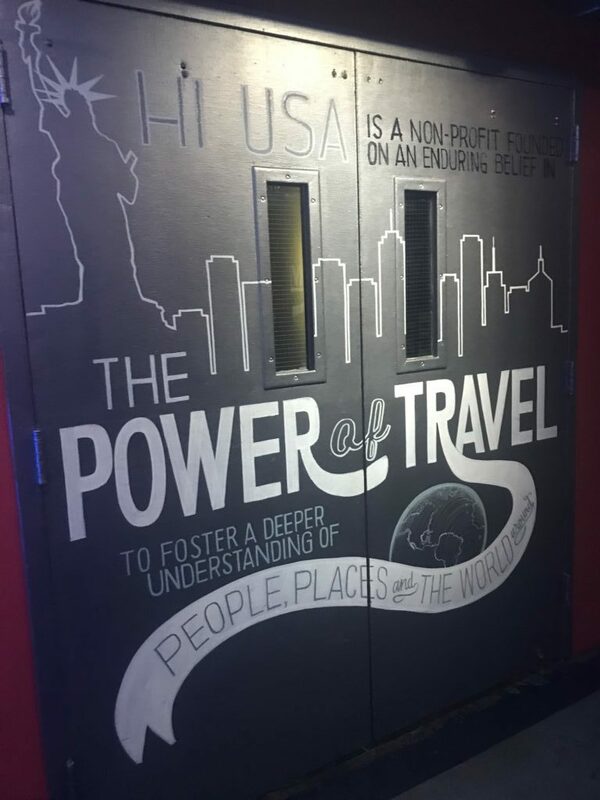 A few months ago, I had the opportunity to stay at Hostelling International New York City (HI NYC), a youth hostel and charitable organization. It was a great stay with a group of travel friends and entrepreneurs, and a fun “staycation” in the city. We loved sitting in the hostel’s main lounge area which is open and invites anyone staying at the hostel to have a conversation. As part of our stay, we participated in the Hostelling International NYC’s initiative of the Great Hostel Giveback – a program focused on giving back to the local communities, and volunteering with local organizations. During our day, we volunteered with North Brooklyn Angels, a non-profit that runs a mobile soup kitchen called the Angelmobile. We prepped vegetables for their upcoming meals in the community kitchen at Mt Carmel Parish Hall. We helped chop vegetables to go out on the Angelmobile, as part of their effort to serve 1,000 healthy meals a week for North Brooklyn residents. To see how you can volunteer with North Brooklyn Angels or donate, visit their website. 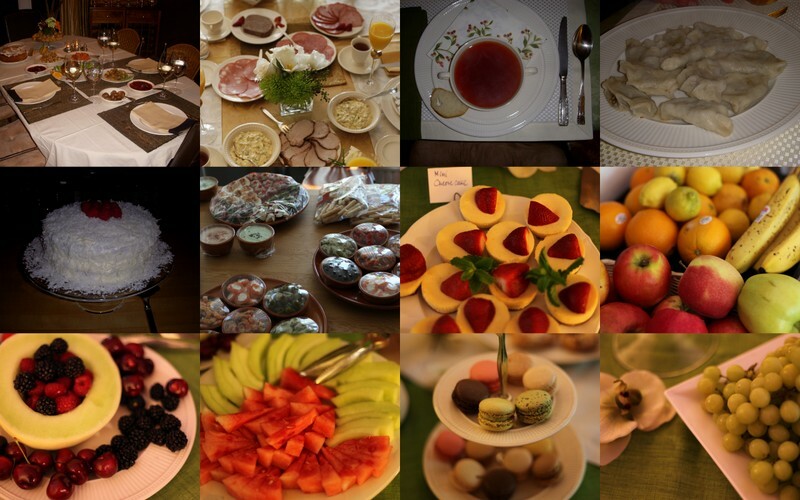 The hostel hosts a lot of interesting social events throughout the year in support of local communities. Most recently, the hostel shared with me that they presented twenty local youth with an exciting opportunity: a $2,000 scholarship for travel abroad for educational and volunteer pursuits. As part of its “Explore the World” scholarship program, the hostel is on a mission to give young New Yorkers (those from ages 18 to 30) the chance to travel abroad and see the world – some of the young people never had a chance to leave New York. Hostelling International mentioned that seven awardees are from Manhattan; five from Queens; three from Staten Island; two from the Bronx; and two from Brooklyn. These young professionals will get to visit countries in Africa, Asia, Europe, Central and South America including India, Indonesia, Senegal, China, Japan, South Korea, Mozambique, Madagascar, Morocco, Italy, France, Argentina, and Belize, among other locations. To me, it’s an amazing way to not only explore local culture, but give these young people a chance to go abroad, immerse themselves and learn more about themselves and the cultures they’re exploring!